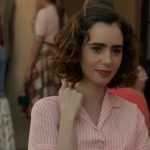 Joyce Glasser reviews Their Finest (April 21, 2017) Cert. 12A, 114 min. Watching Their Finest , it’s hard to believe that Danish director Lone Scherfig burst onto the international scene 17 years ago with Italian for Beginners, made under the austere rules of the Danish Dogme 95 movement. The surprise is not that Their Finest is such a quintessentially English film that, stylistically, breaks all the Dogme rules. Scherfig did that in 2009. Working with a ‘best of British’ cast, she nailed the atmosphere, the people, the ‘look’ and the social mores of 1961 London in her Oscar-nominated Nick Hornby adaptation, An Education, starring Carey Mulligan. 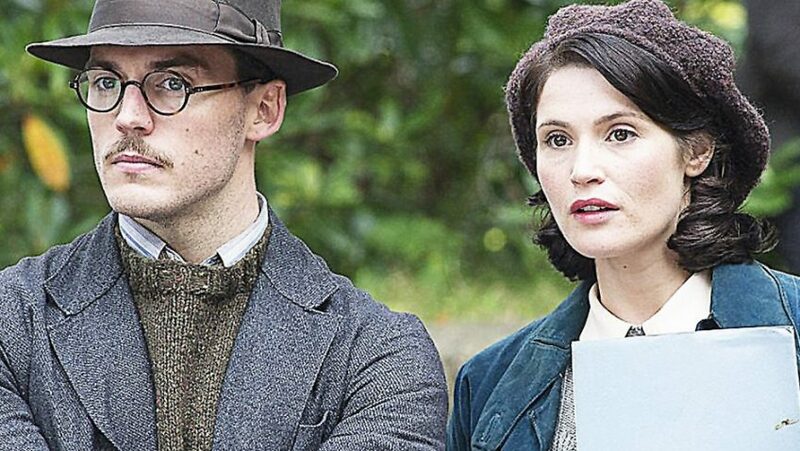 With Their Finest Scherfig was asked to do the same with London in 1940, and, not surprisingly with the BBC behind it, the British crew and producers, wartime London is textbook perfect. The film even imbibes the Ministry of Information’s instruction to the fictional filmmakers in Their Finest to create a film of ‘authenticity and optimism’. But authenticity in the production details does not hold an audience’s attention. 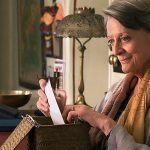 Working with a less charismatic star than Cary Mulligan and an inferior script by first time feature writer Gaby Chiappe, Scherfig’s film is far from perfect. Morale is understandably low in London, 1940. Thirty million war-weary Brits flock to the movies where, in reaction to a hastily made and patronising short propaganda film (apparently, A Call to Arms!) children scream, workers doze off and adults jeer. Catrin Cole (Gemma Arterton) has moved from Wales to London to live with her injured, depressed and currently unemployed war artist husband Ellis (Jack Huston). Inspired ever-so-faintly by the Welsh chorus girl turned ‘nausea’ (women’s dialogue) writer Diana Morgan, a far more innocent Catrin is hired by the Ministry of Information (MoI) to write ‘slop’ – another term for female dialogue – in propaganda films. ‘The pay is 3.10’, she is told, ‘but obviously we can’t pay you as much as the chaps’ and she is offered 2 pounds even. That Catrin is now the breadwinner and can now pay the rent does not get the reaction from Ellis that she had hoped. By 1943, 90 percent of all single women between 18-40, and 80 percent of mothers with children over 14 were working. The Ministry of Information wants to appeal to this new workforce and cinema public. Catrin is teamed up with a handsome, single young man her age, Bob Buckley (Sam Claflin), to come up with a patriotic tale. Determined to make a film about women’s courage, she bases her pitch on real twin sisters who had allegedly set out to sea with their alcoholic father’s old boat to save soldiers wounded at Dunkirk. When the MoI find out that the twins did not make it to Dunkirk due to engine failure, the script has to be rewritten. This production meeting provides a glimpse of what was going on in the office of Jack Beddington, head of the Mol’s Film Division (there is an entire film there), but the nearest we come to Beddington is the supporting character, Roger Swain, played by Richard E. Grant. To reflect the resurgence of older actors in the war years, the arrogant, has-been matinee-idol Ambrose Hilliard (Bill Nighy) is cast, but rejects the role of the twins’ drunken father. His new manager, Sophie Smith (Helen McCrory), forces him to take the role that is later elevated by Catrin, winning over the crusty geezer. When the production moves to the Coast for principal photography Ellis and Catrin become estranged, while Catrin and Buckley fall in love – as does Sophie. The film is loosely based on Lissa Evans’s novel Their Finest Hour and a Half which pieces together the story of WWII filmmaking from the perspective of four very different characters, two of whom (Catrin and Hilliard) make their way into the film. The film supplies its own cast of characters, but it is even more difficult to provide multiple perspectives in a film than in a novel. The result here is a film with no real point of view and a host of underwritten characters and scenes. While there is entertainment value in the making of the film within the film, everything else is surprisingly static. This gives you plenty of time to realise that if there were no real story with the twins’ aborted trip to Dunkirk, there is no real story here, either – but no one has doctored this script to make it more exciting and romantic. Despite the wartime setting, there is a conspicuous absence of suspense or even tension. In one scene a bomb kills one of the key characters and destroys half the studio, but as we never saw it coming, there is no suspense. Rather, like a lot of the film, it comes as a jarring shock due to the change in tone. There is a cacophony of tones between the reality of war and the fantasy of movie making that struggles to find a balance. The dependable Nighy’s Hilliard is a comic character, but there is nothing funny about a scene in which he has to identify the disfigured body of his loyal manager (Eddie Marsan) or when Catrin narrowly escapes a bomb at the entrance to an air raid shelter, and the camera pans across the rubble to the corpse of a young girl. Nor is there much of a romance, due to the lack of chemistry between Arterton and Clafin, neither of whom seem to be all there. In interviews, Arterton labels Their Finest a feminist film, but it is really doing no more than reflecting the reality of wartime Britain. Rachel Sterling’s Phyl Moore is the film’s ‘feminist’ rebel and explains to neophyte Catrin: ‘They’re afraid they won’t be able to put us back in the box when this is over, and it makes them belligerent. 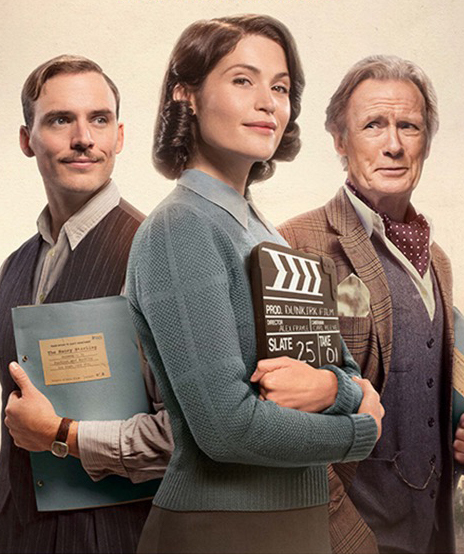 Many women were in fact put back in the box in the 1950s, but Their Finest boasts a female director, co-producer, writer, editor, production designer, casting director and composer. None of the 289 British wartime films had a female director.